Have you read our most popular blog of the year? If not, you still have a chance to see How Many Satellites are Orbiting the Earth? This time last year we decided to issue a blog every Wednesday during 2014, to increase the profile of Pixalytics both online and within the wider Earth observation community. It has been an interesting exercise in discipline; finding interesting topics, writing the words and getting a suitable image. It’s not been easy; there’ve been weeks where we‘ve had no ideas for the blog when we’ve arrived at the office on the Wednesday morning. However, we’ve done it! Every Wednesday lunchtime for the past 52 weeks we’ve released a blog. The majority of our posts are focussed on Earth observation and space, although we also occasionally cover topics relevant for any small businesses. Interestingly, our sixth most popular blog was Pareto’s Principle and the Micro Business. Interestingly, our 2013 post on What is the reason for blooms of phytoplankton? also received a significant number of views. 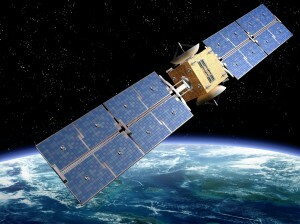 Answering questions people have about space and Earth observation are our most popular posts. Looking at current national or international events using an Earth observation viewpoint are also well received. Blogs about conferences/meetings we’ve attended are very popular during the conference/meeting, but less so after the event. Getting a blog calendar together to plan potential ideas helped a lot. A blog about the Size and Health of the UK Space Industry was the least popular of the year – if you want to boost its self-esteem you can read it here! So has all the effort been worth it? In pure numbers, Google Analytics shows our web traffic has increased by 166% compared with 2013, although as we noted earlier this isn’t all down to our blog. We know that people read the blog as they have come up to Sam at meetings and told her; and we’ve had telephone calls and emails after people have read posts. We can’t say that our blog has directly generated business, but we absolutely believe it has raised our profile, and so for us it has been worth it. If you’d like to have a look at the all the blogs we’ve written you can find them all here. We’ve done 2014, and can exclusively reveal our weekly blog is going to carry on into 2015. Next year we’re going to focus a bit more around specific aspects of Earth observation, with the odd small business topic, conference update and current event sprinkled in. Thanks for reading during 2014, and we look forward to seeing you in 2015. This entry was posted in Data, Earth Observation, Micro Business, Remote Sensing, UK Space Industry, Understanding Space and tagged 2014 Ocean Sciences Meeting, 2015, Earth Observation, micro business, pareto, phytoplankton blooms, Pixalytics Blog, proba missions, remote sensing, Satellites, Space by Andy. Bookmark the permalink.